Media Talks. Wow! How was last Thursday night?! Thank you to all who came. There were 200 of you packed in Rokeby Studios - most students, the rest friends that have passionately supported this event from the get go. Thanks for all your Tweets, Facebook comments and blogs so far. It's been so great reading your feedback. 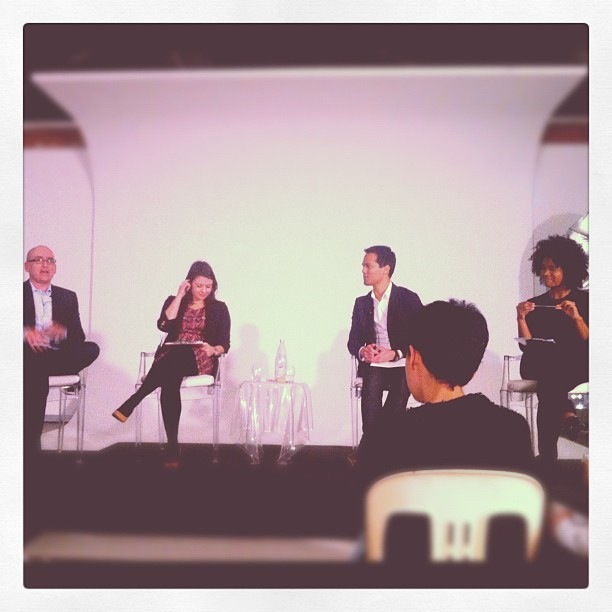 Your energy on the night coupled with the good intentions of our panel was what made the night a top one. I loved seeing you taking down notes, listening intently, asking excellent questions and socialising (especially as so many of you came alone). Media Talks showed you that all the panelists made their own path to getting a media a career. We don't have a single blue print to give you. What we gave you was our stories and loaded it with as much advice as possible. The overarching themes are pretty simple from the outset, though you'd be surprised how many people don't make these choices and end up in careers that don't please them. Be prepared to work hard and immerse yourself in the kind of media you’re interested in. Enter the fray. Research and get as much experience you can. This is how you build your skills and talent. Your hard work will pay dividends. Always. That way you'll not worry less if at all about "competition" and whether or not you're capable of doing what you want to do in life. A media career is the kind of career that really relies on your own initiative. Just go for it. I'll be working on getting the podcast of the Media Talks event by the week's end. You'll have follow up podcasts with Darren, Megan, Sarah, Auskar and myself by the end of the month. You'll have a podcast from Rachel Moor (TV Executive Producer) next month. Videos are also on their way. So what did you think of the night? What were your highlights? What were some of the biggest messages you took away from your experience? And from whom? We'd love for you to share with us below even if you've already dropped a comment on Facebook or Twitter.